Supervision boss Randy Quarles reckons the biggest straight-up U.S. lenders need fewer regulatory constraints than the likes of JPMorgan. U.S. Bancorp, which again earned industry-leading returns last quarter, would benefit, but could also face M&A pressure it would rather avoid. 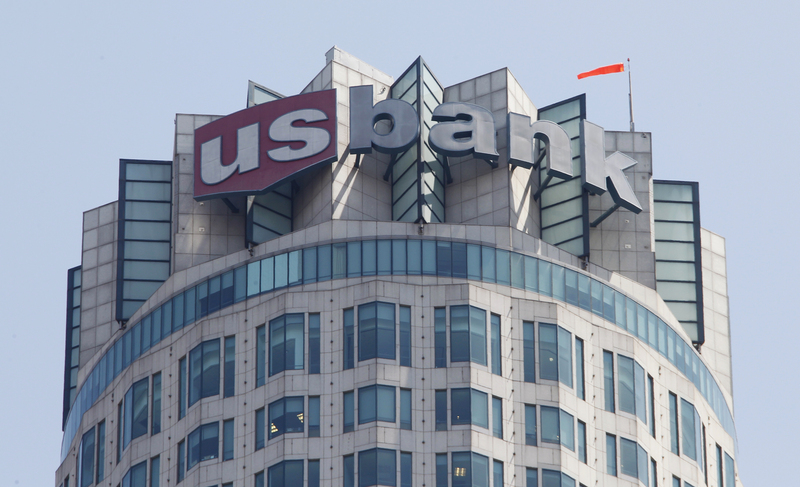 The logo of US Bank is seen atop the US Bank Tower in downtown Los Angeles July 17,2012. Randy Quarles, the vice chairman for supervision at the U.S. Federal Reserve, on July 18 said he believes the central bank should consider relaxing regulations on some large banks. U.S. Bancorp, PNC Financial, Bank of New York Mellon, Capital One and TD Bank all fall into the large non-G-SIB category. U.S. Bancorp on July 18 reported second-quarter net income of $1.8 billion. At $1.02 a share, earnings just beat the consensus estimate of sell-side analysts of $1 a share. Revenue of $5.6 billion was in line with estimates. The bank’s annualized return on equity was 15.3 percent in the quarter.